This is my beloved basement shop looking East. The metal lathe is on the far right, my jointer and tablesaw are in the foreground, and the wood lathe is on the far left. 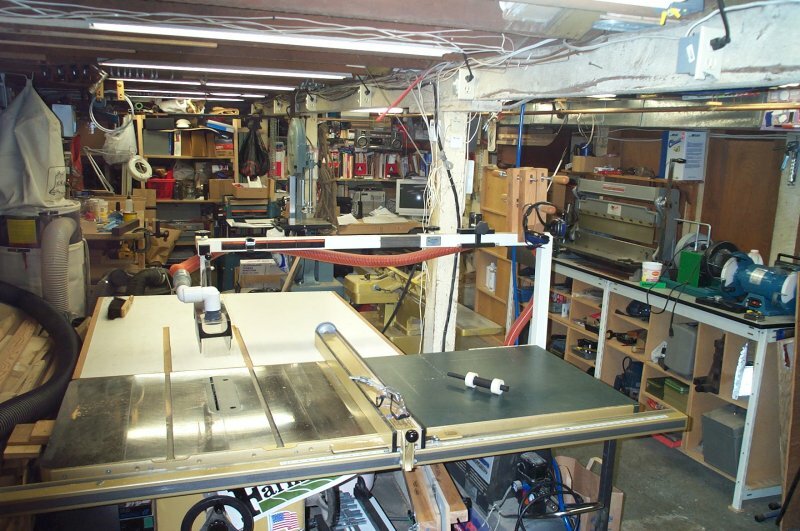 My sanding station and drill press are in the center back. 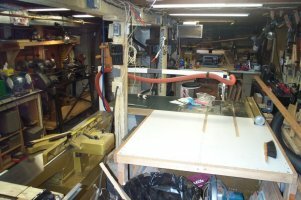 This shot is taken looking West from the sanding station area next to the wood lathe. My sheet metal brake/shear is on the right bench next to the water wheel sharpener and slow speed grinder. 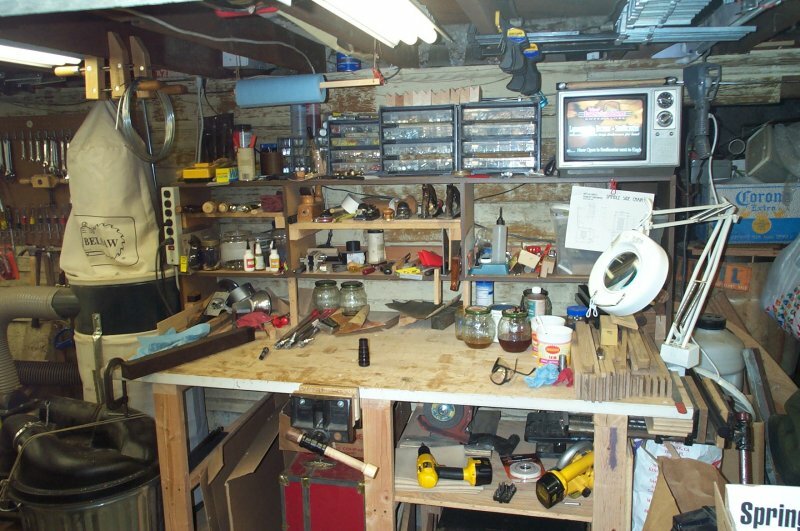 The storage cubby holes under the bench hold sanders, routers, and a variety of other tools. The dust collector can be seen on the extreme left. Beyond that is the work bench. My computer and some storage is on the far back wall. 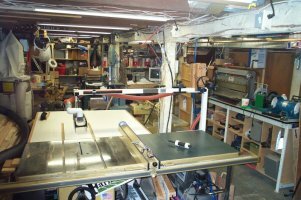 The air compressor is under the extension of the tablesaw. 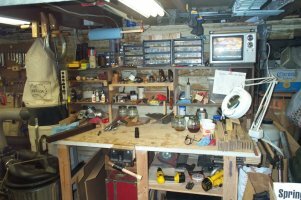 Here is my workbench looking South. It gets a lot of use. The TV is above the bench so I can watch my favorite baseball team, the Mariners at Safeco Field. I always have the radio, a CD, or the television on when I'm in the shop.